The Roanoke Valley in southwest Virginia is an area adjacent to and including the Roanoke River between the Blue Ridge Mountains to the east and the Appalachian Plateau to the west. The valley includes much of Roanoke County, and two independent cities - Roanoke City and Salem. There were donated suits in several colors and sizes. These suits don't have a price tag. They're free and the mission they serve - some say is priceless. Family Service of Roanoke Valley organizes the suit giveaway to help those who want to be dressed for success but can't afford to do it. 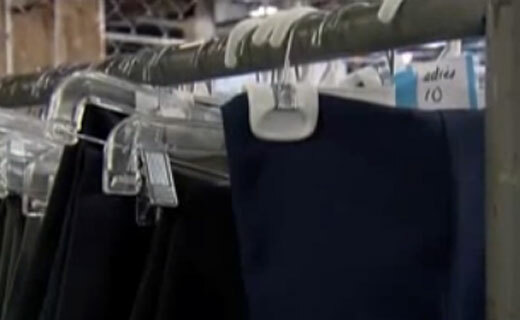 "Whether it's a man that's looking for a suit for a job interview or for something for a family function like a wedding or a funeral," said Ruth Cassell with Family Service of Roanoke Valley. "We have people coming through who are looking for their teenage son to have (his) first suit." The program works with veterans programs, inmate services and the rescue mission to reach people who need help!